The Little Red Book of Golf Wisdom is packed full of thoughtful and witty quotes on the game that has maddened, excited, and delighted generations of players and fans alike. Golfing legends, literary giants, celebrities, and politicians offer pithy and memorable comments on the sport that A. A. Milne once described as “the best game in the world at which to be bad.” Read musings on golf from such noteworthy folks as: John Updike Bill Clinton Ben Hogan Annika Sorenstam Rex Lardner Tiger Woods Jack Nicklaus P.G. 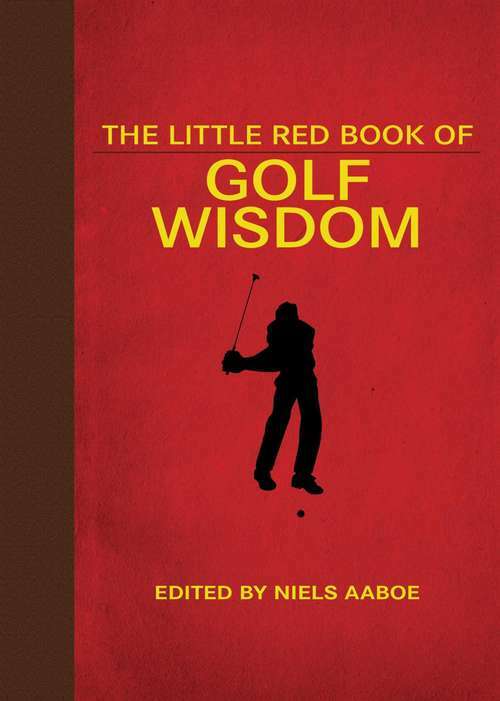 Wodehouse Althea Gibson And hundreds of others!The Little Red Book of Golf Wisdom will entertain, instruct, and capture the essence of the game that has an irresistible hold on anyone connected with it—whether as a participant or a spectator. There’s a reason why people all over the world are drawn to a game that can easily break one’s heart. This book tells you why.